Henry V was King of England. 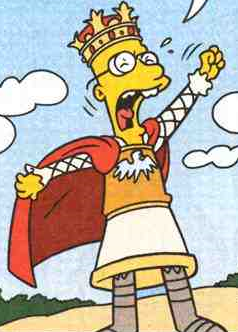 Professor Frink was playing Henry V in a school play. Herny V told his soldiers the war plan but they not stand to listen on it and walked away. Modified on May 14, 2014, at 10:13.